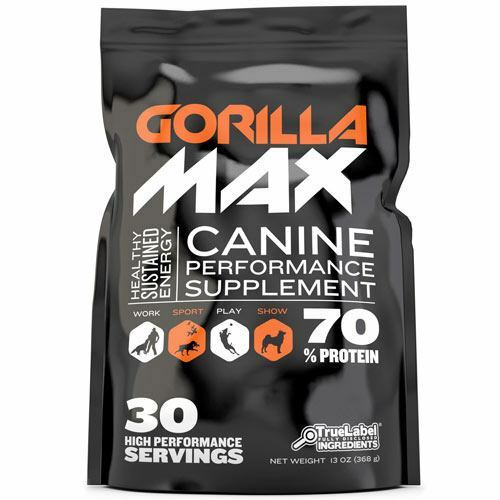 Home › Bully Max Learning Center › Is It Important to Choose a High Protein Dog Food? Is It Important to Choose a High Protein Dog Food? Most of us humans know it’s important to make sure we eat a high-protein diet. After all, protein helps to maintain lean muscle mass and minimize fat gain. It’s also packed with amino acids, the building blocks our bodies. And if protein is vital for us people, it’s even MORE important for dogs. Keep in mind dogs are natural carnivores, which means they thrive best on a meat-based diet. This is why, for example, we always say that every dry dog food should have a named meat meal as the #1 ingredient. So when someone asks us, Is it important to choose a high-protein dog food? It should come as no surprise that our reply is a resounding YES. 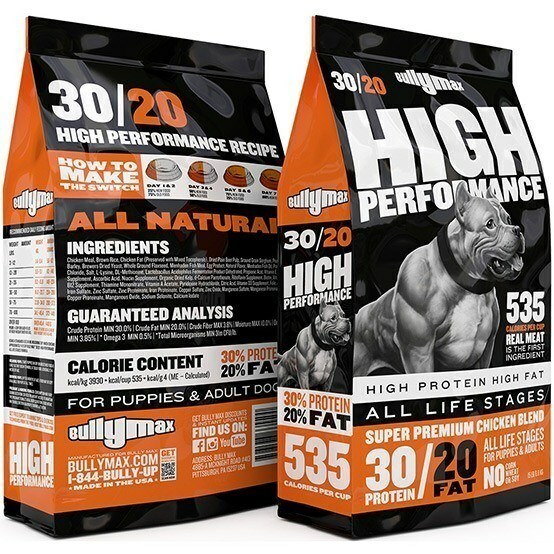 And when it comes to healthy high-protein dog foods, in our opinion there is no better choice that our Bully Max 30/20 High Performance Dog Food. Many of the dog owners here on Bully Max are interested in helping their dog to gain weight. Which means you may be looking at high-calorie, high-performance dog foods. But what many dog owners may not realize is that a lot of these so-called “high-performance dog foods” increase their calorie content by adding in low-quality ingredients like cheap grains or oils. But not us. 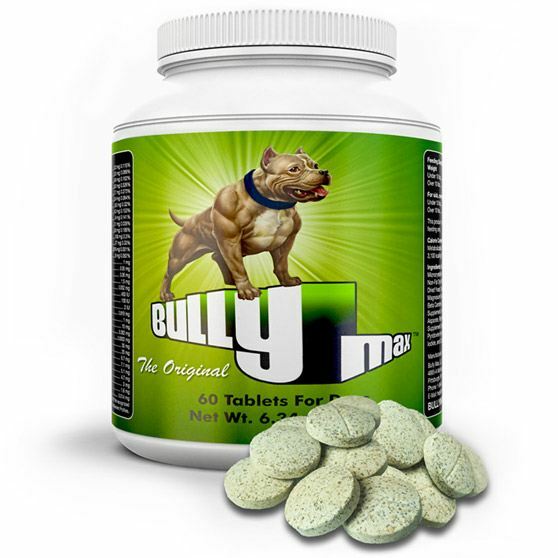 Here at Bully Max we’ve created what we believe is the absolute best performance dog food ever created. It’s a chicken-based formula, with chicken meal as the #1 ingredient on the label. Which means it’s guaranteed to be packed with all the protein your dog needs to grow big, strong, and healthy. And the fact that it’s the ONLY meat-based formula in its class is probably the reason why it’s the ONLY performance dog food with a 5/5 star rating Dogfoodadvisor.com. See, with other performance dog foods you have to make a choice: do you want a meat-based, high-protein dog food? OR do you want a high-calorie performance dog food that will give your dog the calories and the energy they need to grow and perform at their best? Well, with our Bully Max 30/20 High Performance Dog Food, you don’t have to choose. Because you can get both. Plus, we make sure that our dog food always comes with NO wheat, corn, or soy. Some people say that these ingredients are perfectly OK, but in our experience, too many dogs just have issues with these problematic ingredients. And so to be on the safe side and to give your dog the absolute best dog food possible, we’ve formulated our food with only natural ingredients that will help to nourish and care for your dog. Like brown rice, a whole-grain source of carbohydrates that is much healthier than corn or wheat. Or fish oil and flaxseed, two healthy fat sources that are packed with heart-healthy omega 3 fatty acids. 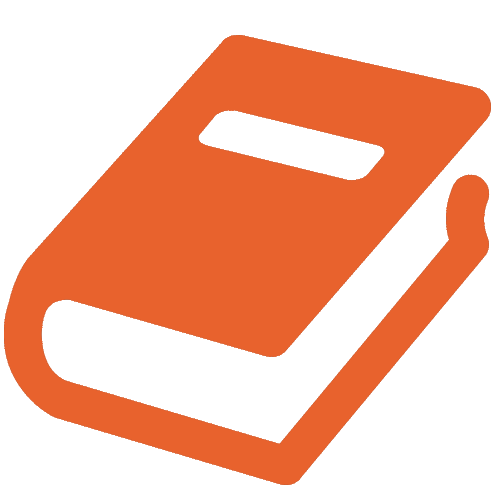 They’re much healthier than processed oils like canola, corn, or other vegetable oils. So if you’re looking for a high-protein dog food for your pet that’s actually HEALTHY, check out our Bully Max 30/20 High Performance Dog Food. We know your dog will love it, and we know you will love the results you see in your dog’s appearance, health, and energy levels. Looking for More High-Protein Diet Tips for Your Dog? And if you have any questions—about protein, dog food, or anything else related to your dog’s health and happiness—don’t hesitate to comment below! We love answering questions and helping fellow dog owners to give the absolute best possible care to their dogs. Bully Max Australia official site just launched!